As the temperatures increase and the blue sky provides a much needed dose of Vitamin D, residents of Pierce County feel the pull of the Puget Sound calling them. As we walk along the shoreline and relax on the beaches of the region, many of us long to get out on the open waters and explore, but lack the boat to do so. Luckily, there are a handful of ways for just about anyone to obtain a watercraft and venture out on the Puget Sound to enjoy the nautical beauty of the South Sound. From formal tours, renting a boat or kayak, parasailing above the water or just taking your time on a stand-up paddle board (SUP), you can explore the waters of the Puget Sound for a few hours. 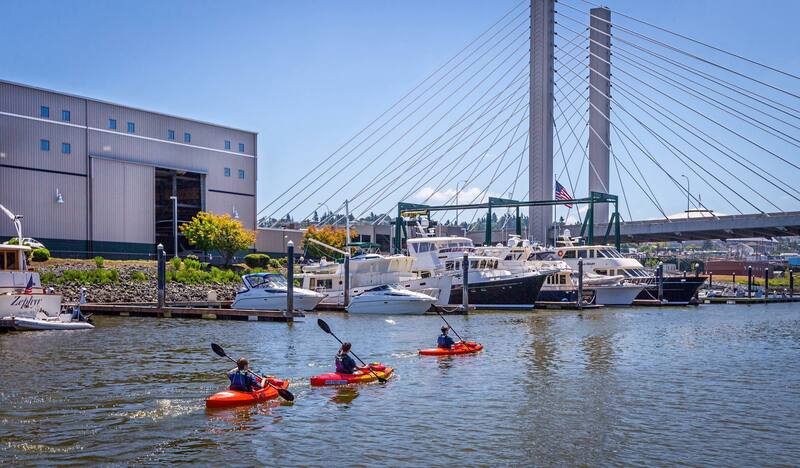 With rentals of both SUPs and kayaks, Dock Street Marina is a great family-friendly and affordable place to hit the water, and it’s right in downtown Tacoma. Located not far from the Museum of Glass, Dock Street Marina lets you paddle the calm waters of Thea Foss while enjoying both city views and Mount Rainier. The setting here is hard to beat and renting a kayak or SUP before hitting the restaurants and bars of Tacoma makes for a perfect afternoon. You will absolutely love this place. Quite possibly the most accessible and well-known way to get out on the water in Tacoma is to head to Point Defiance. You and your family can rent both motor boats and kayaks for an hourly rate. Motor boats are available from the Boathouse Marina, located between Anthony’s and Owen Beach. 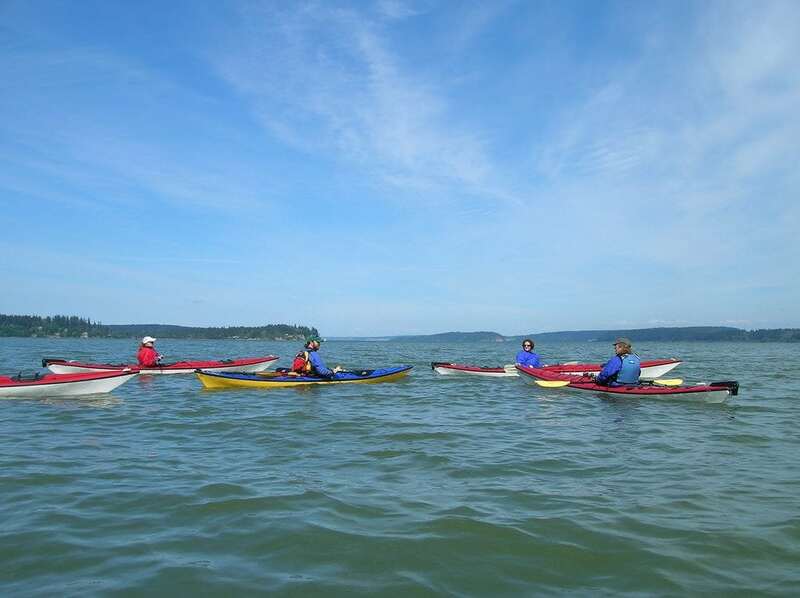 From the boat rental area, you will have a chance to paddle or drive your boat out to and see seals, bald eagles and a unique view of Tacoma and the surrounding area from the water. Kayaks are available to rent right on the beach at Owen Beach. 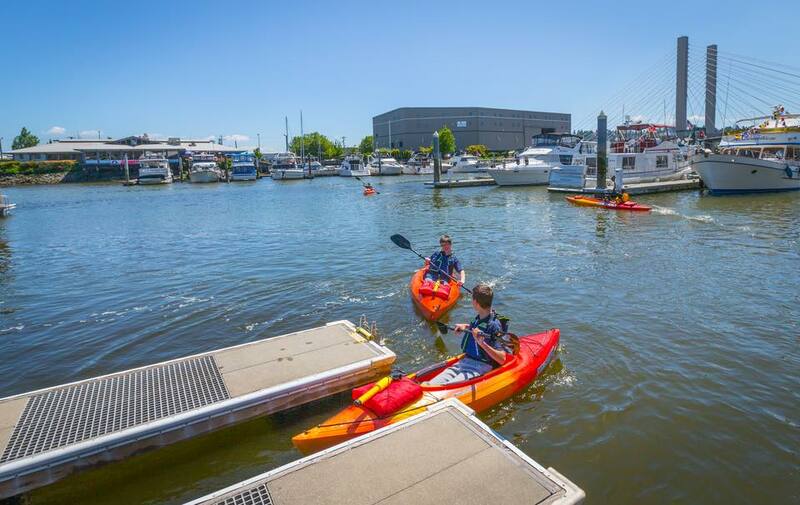 Often overlooked, the Foss Harbor Marina is one of the most affordable places to rent a single or double kayak, or a SUP, giving you access to the incredible views of Tacoma from Commencement Bay and beyond. Located right downtown, renting a boat from Foss Harbor Marina can be the start or end to a day full of visiting Tacoma’s museums and enjoying the great foods and beers found in the heart of the city. For those looking for rentals of SUPs for longer than a day, Dolan Sports offers multi-day rentals. Whether you want to rent a board for a few days, a week or even a month, the owner Corey has you covered. Dolan’s Board Sports also offers 1.5-hour lessons so you can get out on the boards with confidence. Starting at just $70, including all the gear you need, this is a great way to get on the water and see if you enjoy being on a SUP. If you want to let someone else do all the work while you sit back and enjoy the scenery, you can’t go wrong with Destiny Harbor Tours. With locations both across the bridge in Gig Harbor and on Dock Street in Tacoma, Destiny Harbor Tours is the perfect summer boating activity. Operating in July and August, the tours give you a chance to see Gig Harbor, the Narrows Bridges, Point Defiance, Mount Rainier the Olympic Mountains, as well as bald eagles, seals, and maybe even whales! Some tours get you up close and personal with Tacoma’s maritime side and give you a unique view of the Thea Foss Waterway, Old Town Tacoma, the Port of Tacoma and the area’s scenic bridges. From June to September, getting out on the water for a scenic tour of the region is as easy as signing up with Gig Harbor’s Riviera Cruises. Offering a half-day tour, a sunset cruise, and a summer night cruise, you’ll have a chance to see the Narrows Bridges, the city of Tacoma, Point Defiance, the Olympic Mountains and Mount Rainier by booking a tour with Riviera Cruises. Scenic and comfortable, exploring the waters of Puget Sound with these tours makes an amazing date night or summer staycation activity. Finally, we end with Pacific Parasail, which is one of the most unique and scenic ways to see the region from the waters of the southern end of the Puget Sound. 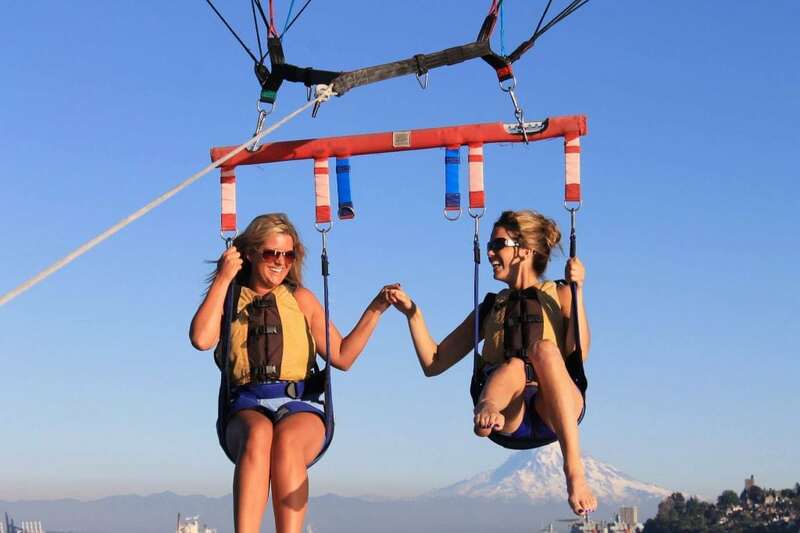 From June to September, Pacific Parasail will get you out on and high above the beautiful waters around Tacoma. Located right along Ruston Way, Pacific Parasail is an experience that will leave you and your family in awe. First, you’ll get to enjoy a boat ride around Commencement Bay. While it’s not a tour, if you go on a sunny day, you’ll get views of Mount Rainier, the Port of Tacoma, and Tacoma’s waterfront. Then, when it’s your turn to go up, you’ll strap in and ascend with your parasail. Towed behind a boat by either 600 or 1,000 feet of line, parasailing will give you views of the region that are higher up than the Space Needle! While this is a little more pricey than renting a boat of your own, the experience can’t be beat.